I know that many of us are familiar with isolating DNA using a salt solution and an alcohol layer. The most common procedure uses strawberries, and we see oodles (a technical term) of DNA. 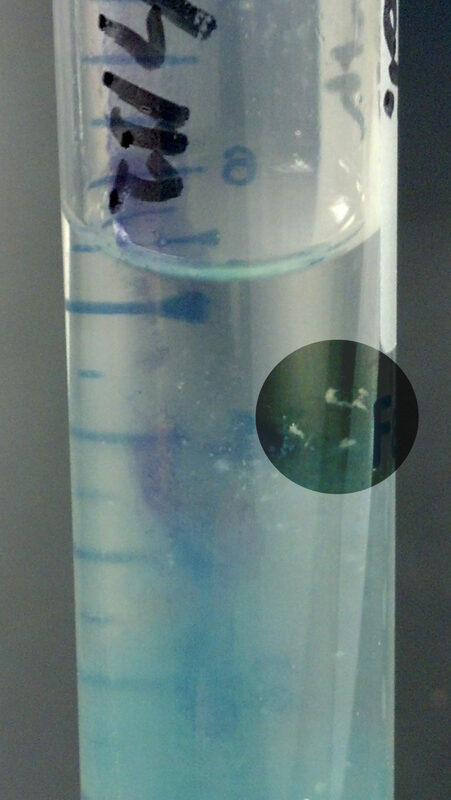 The students can even go so far as to pull the precipitated DNA out of solution and place it in a necklace. The whole procedure is a cool way to introduce DNA, but I would urge everyone to consider looking to this lab with an inquiry eye. 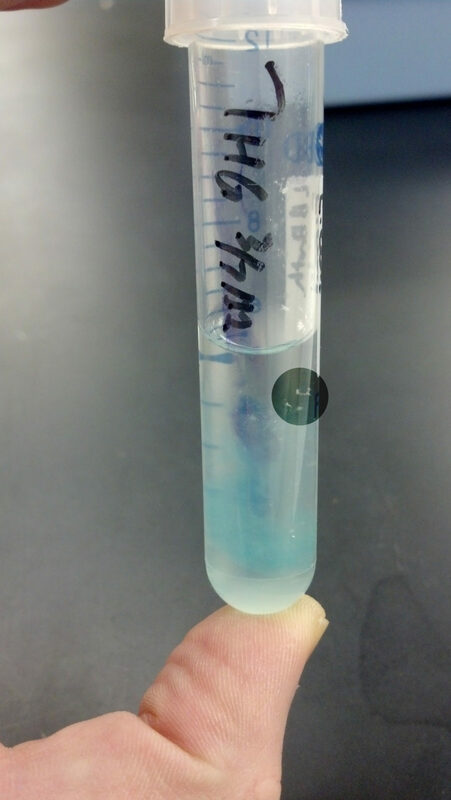 I asked my students, if that procedure can isolate DNA… then what has DNA? We have a short list of various samples: animal cells (we used human buccal cells but chicken liver also works), plant cells (strawberries), fungus cells (mushrooms), and a soil sample. We attempted to isolate DNA from each sample and answered our question. Still not a terribly remarkable lab. What made this experience post-worthy was what the students did from here. A group of boys in my last hour turned to me with about five minutes left in their class period with a revelation, “Mr. Ralph, this means we need to run a sample of bacteria to confirm our hypothesis.” They had hypothesized that all cells have DNA. I was caught so off-guard that I had to take a moment to formulate an answer. They weren’t even doing a lab report for this lab, and their notes were only for use on the quiz. I told them yes, that is the next reasonable step. They asked if it was even possible, and I quickly described how they could grow bacteria in a broth culture. They then could centrifuge the sample and attempt DNA isolation from the pellet. They wanted to know if they could actually do it, and they would even come in outside of class. I couldn’t believe it. Of course you can! I had no idea if it would work or not, but what the heck. The students were true to their word and came in before school three days in a row to get their results. Sure enough, it worked like a charm and their hypothesis was confirmed. I plan to make this a “scripted” extension for the lab next year. As so often happens, students come up with some of the best ideas when given the chance. Nicely done and a really fine example of what happens when students are both trusted and asked to think for themselves—they take themselves and you on really cool journeys. We’ve done a “DNA extraction challenge” the past couple of years that is kind of like this. We award the teams with the most unique source and greatest quantity of DNA relative to their sample with something. Most recently, we have purchased ice cream to make home-made blizzards where the winning groups get to chose the added edibles. The losers have to bring their own. Last semester, I had a group grow up bacteria as well. They hadn’t learned about broth cultures yet and grew up two or three plates that they harvested from. It worked as well. I like your having them extract from each of the kingdoms though! Previous Previous post: New AP Bio – It works!